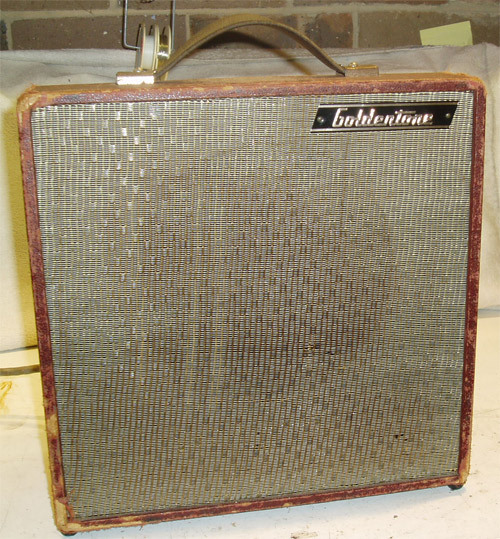 We repair Amplifiers: Guitar, Bass, Valve & Solid State, Vintage & Modern, Speakers & PA Equipment. Quality Repairs. Fast turn around. Reliable. We are now agents for Guitar Tuning Services. We Re-Tube with your favorite tube brands. 120v to 240v Amp Conversions. WE REPAIR ALL BRANDS & MOST MODELS. With professional expertise in Electronic repair going back 30 years, Sherlock Amplifiers are more than qualified in repairing all audio products. We work on all the major brands from Marshall, Fender, Laney, Ampeg, etc, to the more exotic amps like Matchless, Bad Cat, Mesa Boogie, VHT and Soldano. With tube and solid state guitar amps being our specialty, we are also experienced in the repair of other gear including, Mixers, HI FI Amps, Microphones, PA systems, Speakers, Effects Pedals . Minimum Charge of $90 for All work performerd. We will remove worn/faulty tubes and fit and bias new ones. Power tubes of your choice are fitted as matched sets and are correctly biased. Preamp tubes of your choice are fitted and selected for low noise and low microphonics. Pots and sockets cleaned and re-tightened or replaced if necessary. All solder joints and connectors are visually check and resoldered if necessary. Amps are left on for a "Burn In" period after the service and checked for any missed faults. All Amps are checked with test equipments and then played with an instrument. We import tubes all the time. They come matched and graded in sets of pairs or quads, We check them and match them again before installing them into amps because sometimes the matching done at the factory is not quite up to our standards. When we remove the old tubes we check these in our tube tester to check their grading. We then select new one's closest to that grading. This re-tubing technique ensures minimal bias adjustment and most importantly the amp sounds the same as before, or we select tubes and bias them according to the customer specific requirements. (See notes on biasing) We know the difference in sound between the tube brands and can advise on tube selection for tone. For more info on Tubes check out Julius for why its so! check out our Tips Page. 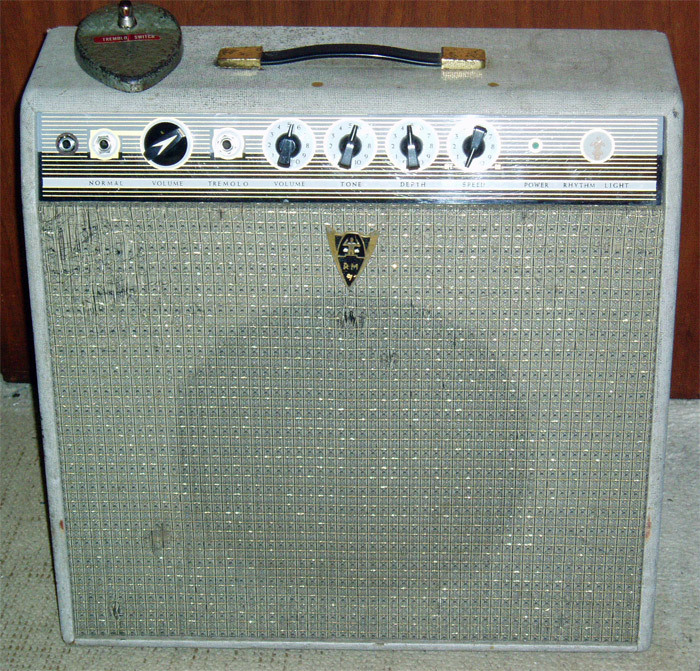 We can restore any old amp to its former glory. We will replace old leaking electrolytic's capacitors, scratchy worn pots, corroded input sockets, worn tubes, etc. Transformers can be rewound (see notes on transformer repairs), speakers can be re-coned or replaced. 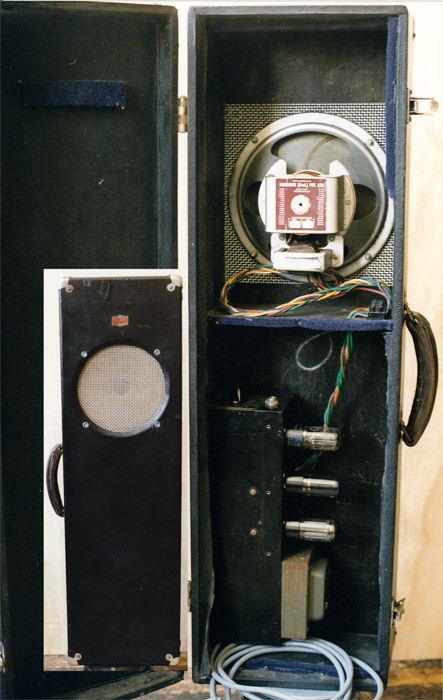 Reverb units can be replaced or repaired. Tolex replaced, nothing is unfixable! 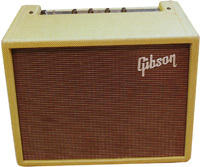 have a great deal of experience in Tolex / Vinyl covering of amps. 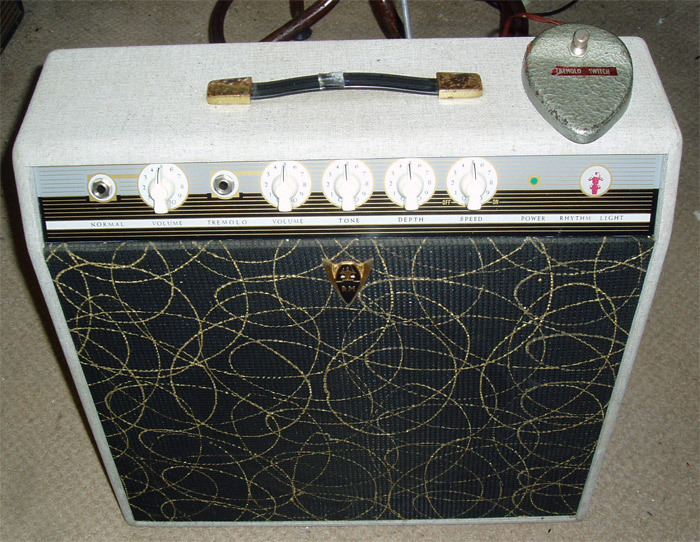 This re-covering service is also available to our customers as part of our amp restoration service. 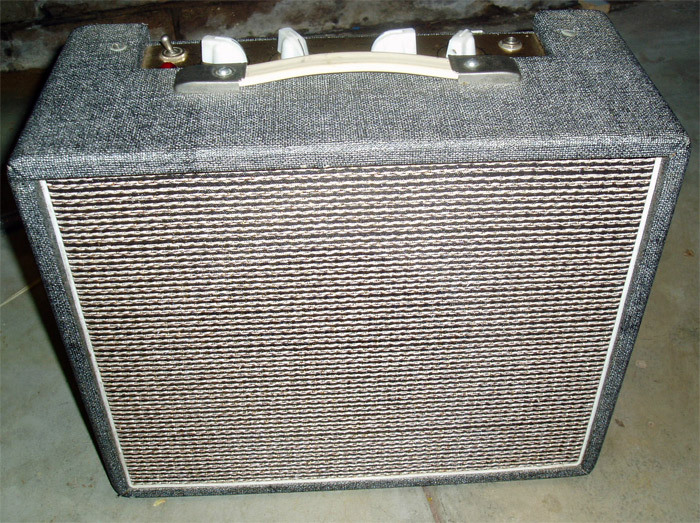 We have a selection of Tolex from the USA for that purpose. We can also replace speaker grill cloths. Again we have a selection of grill cloths from the USA specifically for that purpose. Remove baffle board and speaker. Strip off old Tolex and repair surface. Glue on new Tolex, install hardware, speakers and electronics . We can replace the grill cloth and hardware or leave depending on the condition. we can also re-tube and service the electronics if required. 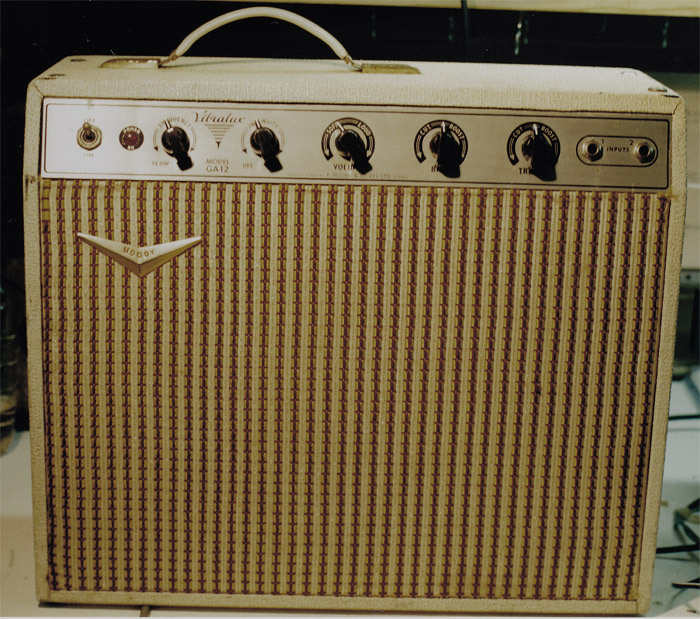 Cost varies from amp to amp but typical pricing for a 2 x 12 combo amp are set out below. 120v to 240v POWER TRANSFORMER CONVERSIONS. We offer a 120v to 240v power conversions service for our Australian customers importing American amps. This may be accomplished by rewiring the amps primary wires on the transformer if the amp has a universal power transformer. If not, then the 120v power transformer has to be replaced with a 240v equivalent. We also find in some cases a slight bias adjustment is required (on Tube amps). Includes voltage testing as is on a step down transformer before removal. Checking for any other faults, including bad tubes etc. Installation of new 240v transformer. Change mains plug or supply 240v power lead. Change fuse for 240v operation. Check internal voltages as per the original 120v transformer. Check and adjust tube bias if necessary. Final assembly and audio test. 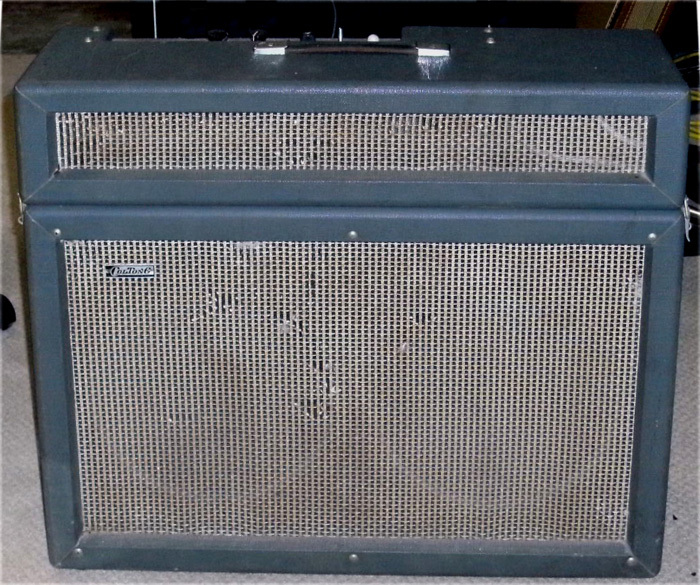 There's nothing worse than inspecting a vintage amp only to find most of the old vintage parts have be replaced with their modern day counterparts. 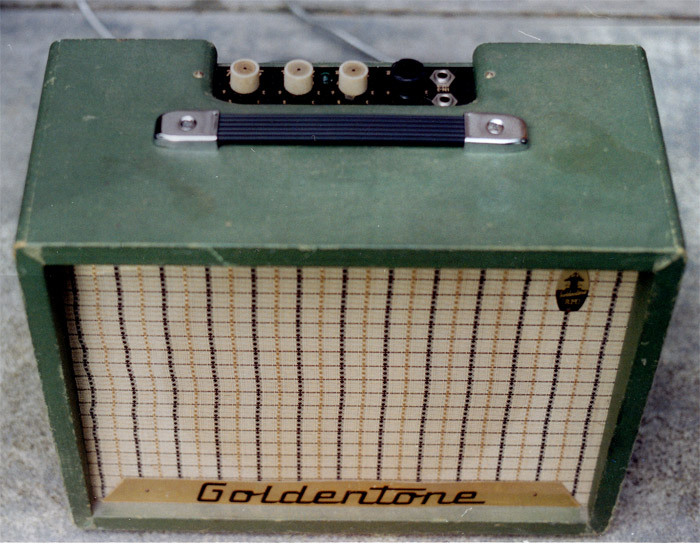 This of course destroys the value of the amp, not to mention the tone. We take the attitude that if it's worth repairing it is indeed worth repairing properly. We will repair it back to its original status. 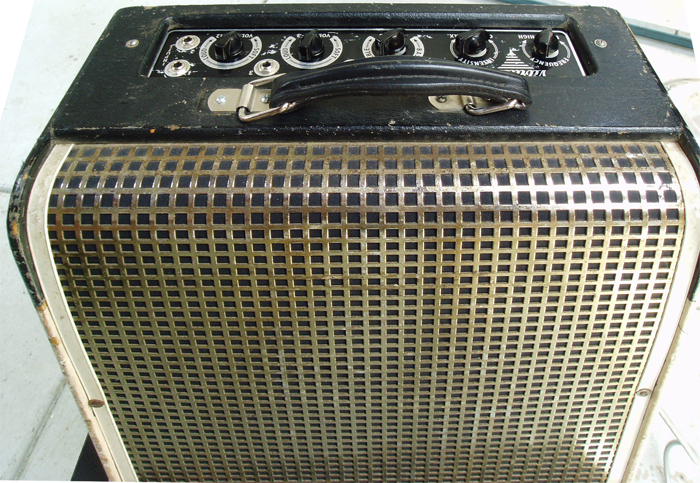 We have most vintage amp parts in stock If we haven't got the part, we will source it from overseas. We will only use quality or original replacement parts, ensuring that the gear/equipment functions the way the manufacture intended or better, so that in the long run, you save time and money. quote on amp servicing, repairs, mods and retubes. We do not have the capacity to offer general advise on amps, equipment and tubes. We can only advise on work that you would like us to perform for you or our own products. For general info relating to other manufactures products please contact the manufacture or distributor of those products. We service the following brands and more. 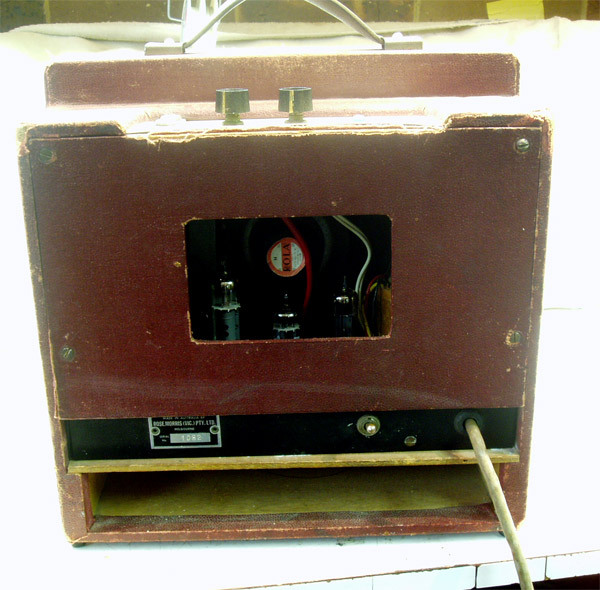 Time and time again we see Amps come into the workshop that have been supposedly repaired by some repairer. The repair has failed and now the customer is up for more money to fix the shonky repairers stuff up plus the original fault. 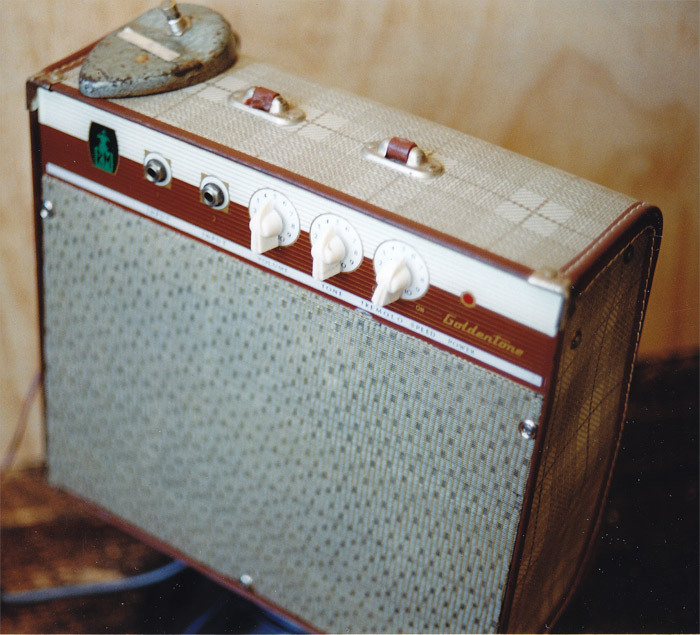 Don't take your Amp to some unqualified repairer. You WILL PAY MORE in the long run. Let us do it right the first time.! Current lead times are 2-4 weeks or otherwise stated. Please note: This is only an estimate. Our lead times are dependant upon work load, degree of difficulty of each job and the availability of parts, etc. Original parts are order from the manufacture or import distributor. Other parts such as Tubes etc, are imported from overseas. We do try to keep stock of most parts but can't keep everything, however we do sometimes run out of tubes and have to re-order. Please note: We do not control domestic and international postal systems. So please be patient when we have ordered parts for you. 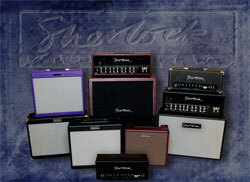 current range of Sherlock Amplifiers products.